Revolution Fitness has classes available for all ages. Kids as young as 5 can benefit from Jiu Jitsu as long as they have the appropriate motor skills, and the ability to follow instruction. Brazilian Jiu Jitsu for kids, is a great way to build confidence and self-esteem as well as self-discipline, respect, concentration and courtesy. Martial Arts are often ideal for children who do not do well in team sports, giving them the ability to flourish this activity, while combining physical and mental practices, gaining confidence and learning a life-long skill. why choose Jiu Jitsu For your child? All children can benefit from Jiu Jitsu. 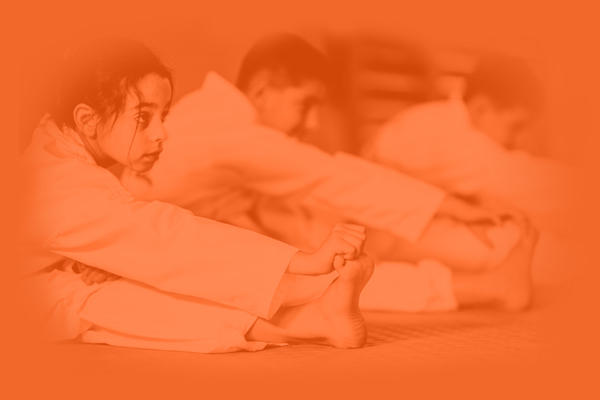 Kids with ADD, learning difficulties and hyperactivity often excel from the structured training techniques in Jiu Jitsu and other martial arts. Martial arts training are generally safer than most school sports, as much care and discipline is exercised when teaching the children. Experts agree that martial arts is one of the very best ways to help children gain self-discipline, respect and confidence essential traits for success in school, at home, and in life. Kids Jiu Jitsu classes also offer a great way for kids to relieve stress and find more enjoyment in their lives. The great workouts and lessons improve your child’s attitude, health, and behavior. Not sure Jiu Jitsu is for your child? Try out a free class and see how martial arts can help your child!